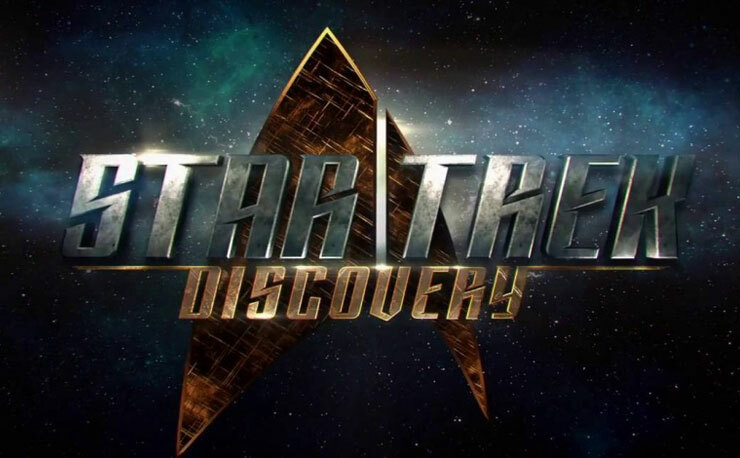 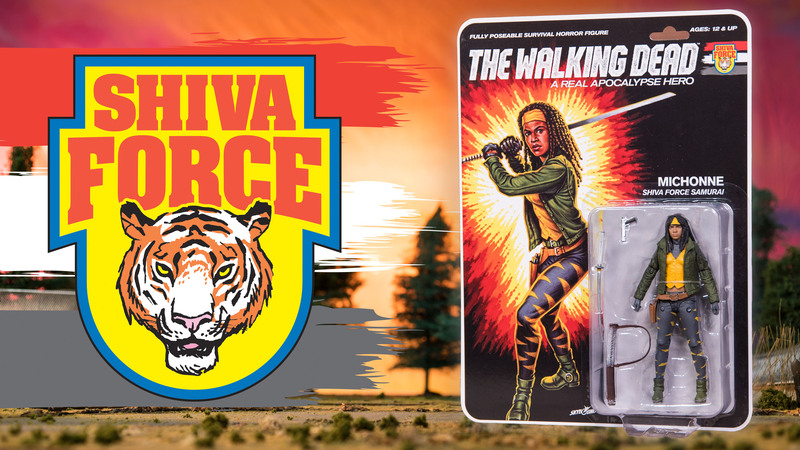 Fans of The Walking Dead comics have known about Ezekiel and his pet tiger Shiva for a long time, but the character and his animal have made their TV show debut this season on AMC. 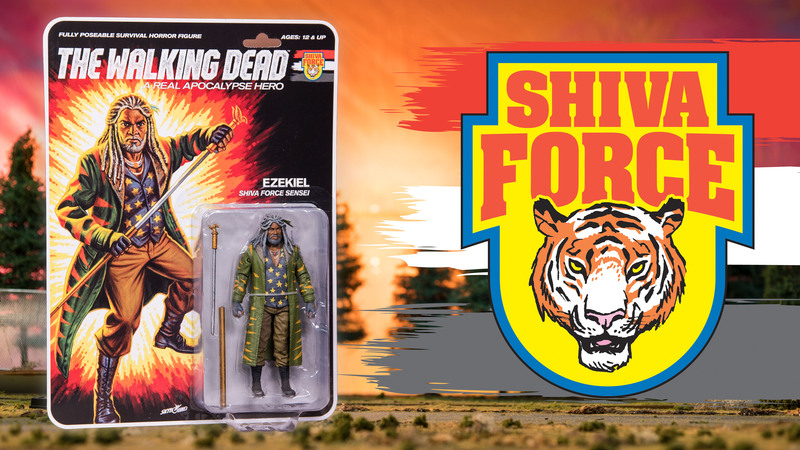 As the founder of the “Kingdom” community, Ezekiel sits on a throne with Shiva and the only thing we could think of while seeing him is, “It would be so awesome if he had a G.I. 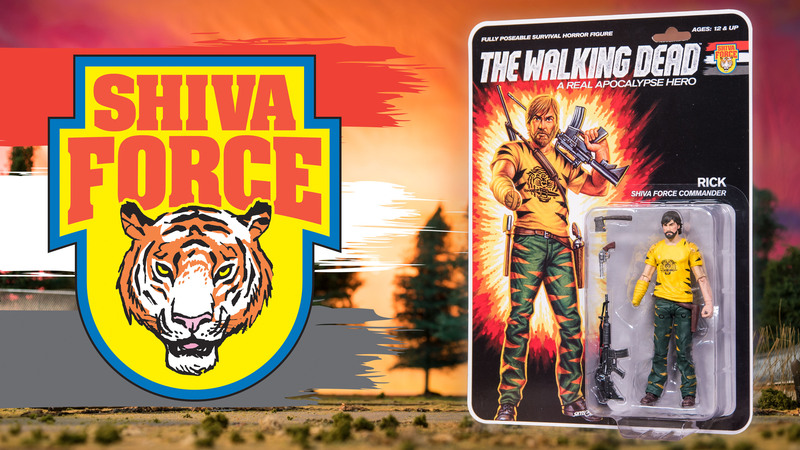 Joe-like strikeforce dressed in tiger stripes with him”. 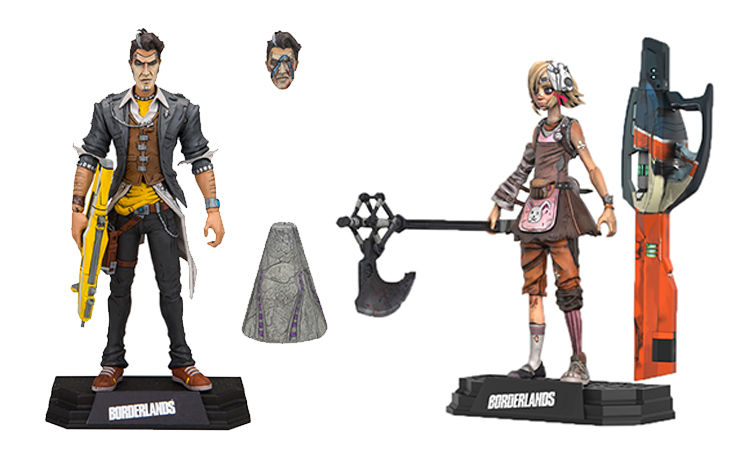 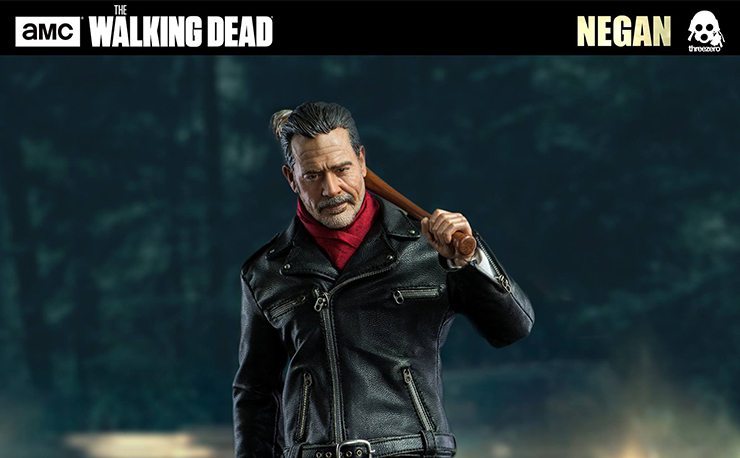 Now thanks to the geniuses at McFarlane Toys and Skybound, our twisted dreams have come true. 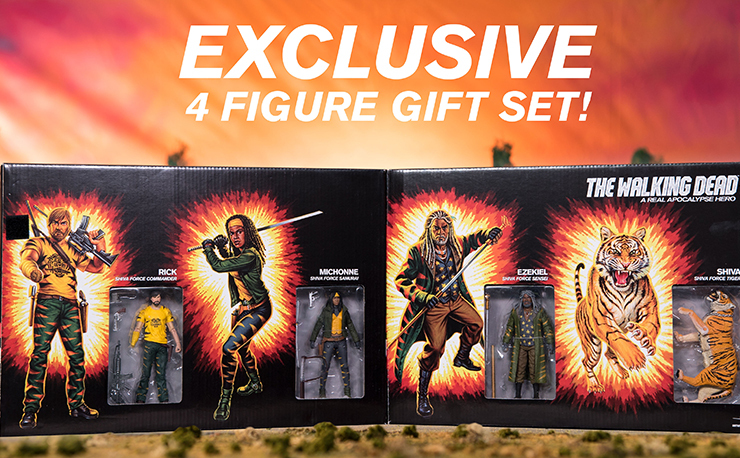 Coming straight out of our deepest ‘80s fever dreams, this SDCC 2017 exclusive set of old school G.I. 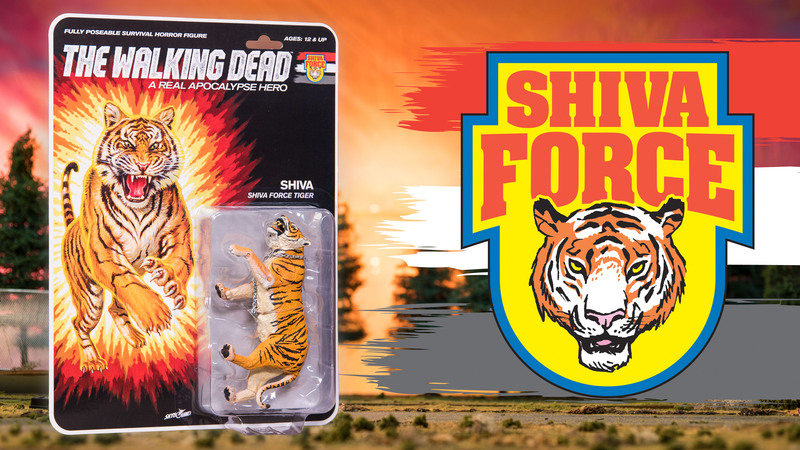 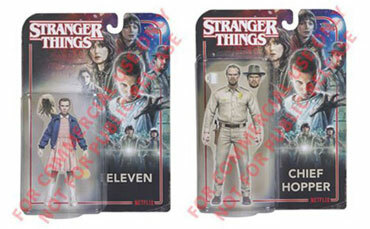 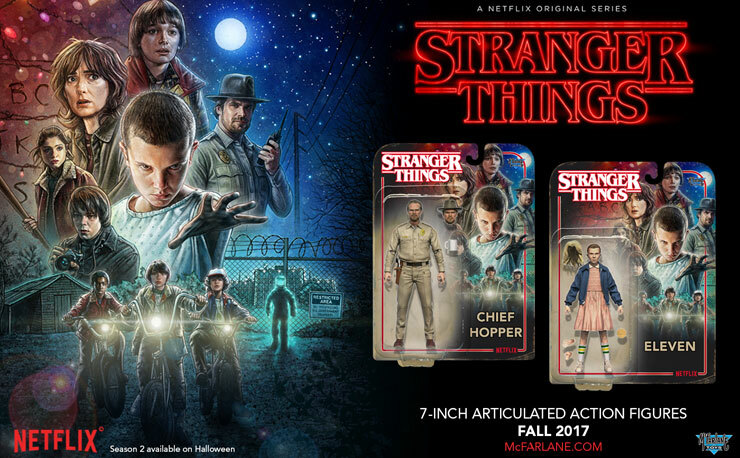 Joe-inspired figures comes in a retro-style box set and features four of The Walking Dead’s most prominent characters dressed in new “Shiva Force” deco. 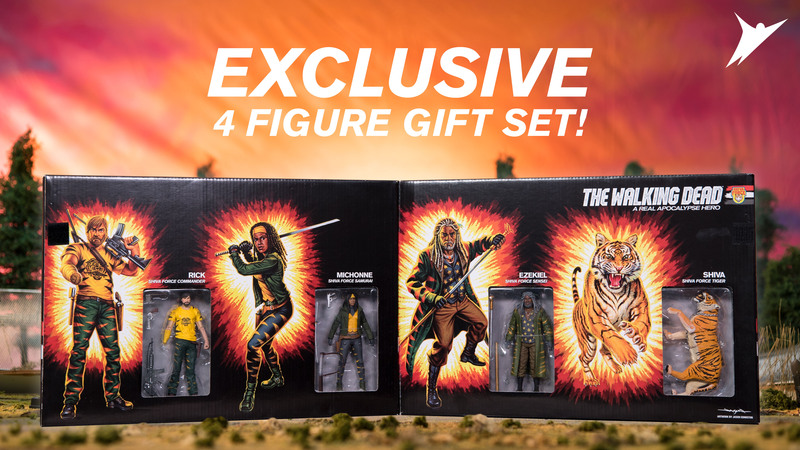 Michonne, Rick Grimes, Ezekiel and Shiva stand 5” tall and come in both the regular edition and a bloody variant edition for anyone looking for a more violent look. 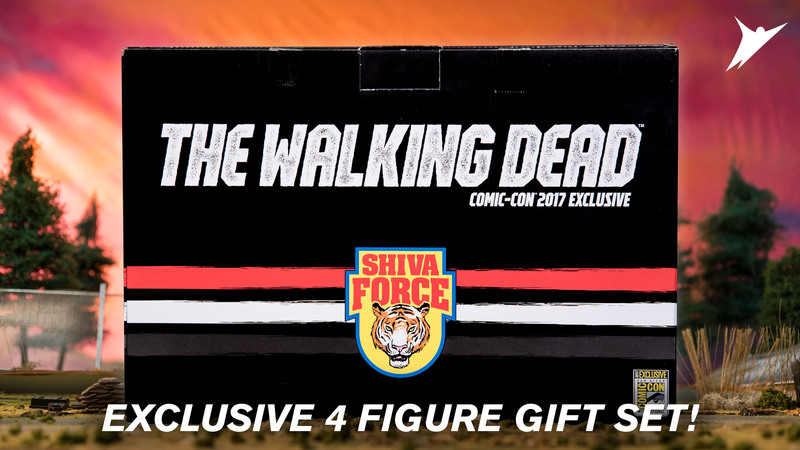 Limited to only 1000 in the world, if you’re lucky enough to be at the San Diego Comic-Con this year make sure to grab a box because we’re sure these will be gone fast.